We spent Christmas Day with friends in Somerset. I was woken this morning by a strange glow shining through the blinds in the bedroom. 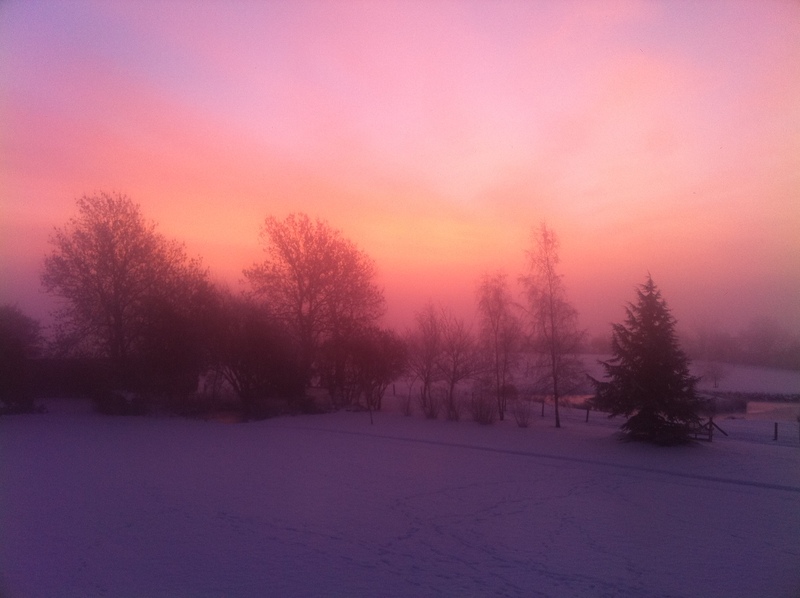 I looked out and watched a beautiful sunrise, shining through the mist and reflecting off the snow. It was absolutely magical. I only had my iPhone to hand so I took photographs with that and they came out surprisingly well. Click to enlarge…. Wow! Magical is a good word for this scene. Absolutely stunning. Hope you had a splendid Christmas with your friends! Gorgeous picture. A beautiful blend of colours. It was a perfect combination of sun, snow and mist all blended together so atmospherically, so glad I saw it.